One + One played music and told risqué jokes at the Swiss Chalet for more than a decade. Bob Allegroe and Jerry McGraw were the original members. The musical team was known for its music as much as its jokes, and they published a souvenir “Pocket Joke Book,” “Die Laughing and Live it up at Geneva-on-the-Lake” that contained some of their milder jokes. “Just remember – “The people who think One + One Jokes are rough would quickly change their views if they would compare the ones we print with those we’re scared to use! Laugh it up!” the authors state in the opening page of their book. 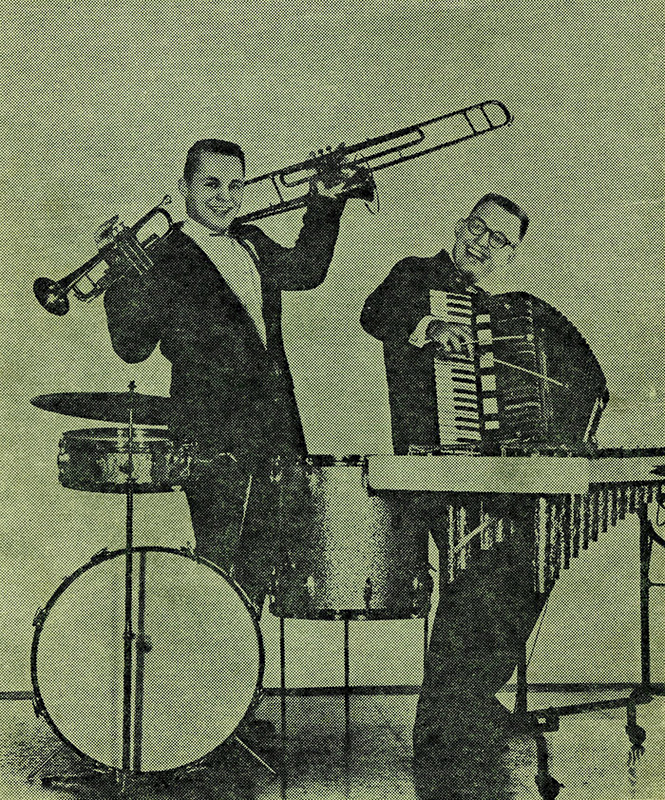 Bob played an instrument called the accordavox, which looked like an accordion. He was quick to point out the difference to any person who failed to make the distinction.